Kristal Bryant, owner of K&J’s Elegant Pastries in Alabaster, has been down but never out. “Every time I felt like I was getting closer and closer to what I wanted to do, I would always get kicked back or knocked back,” Bryant said, during a recent interview. 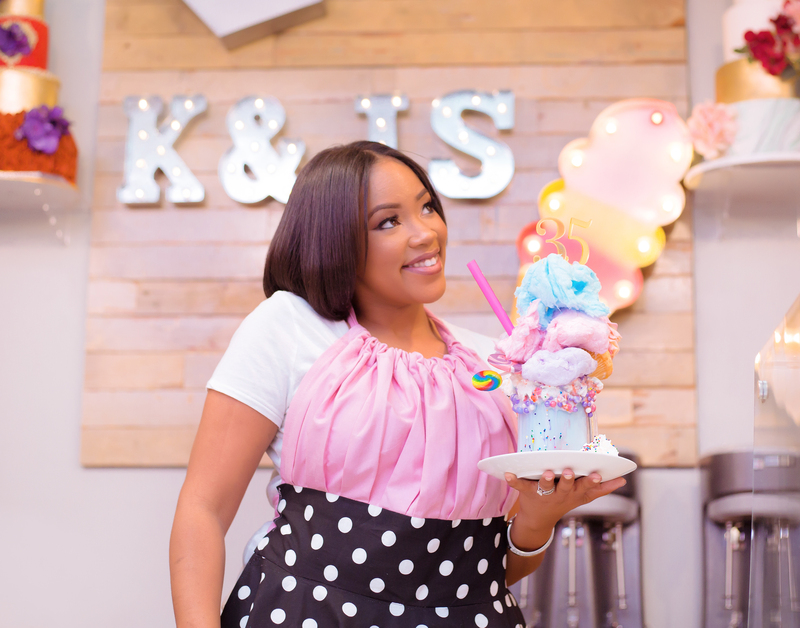 Nonetheless, the 36-year-old persevered and today is owner of a business that has won Taste of Birmingham for Best Sweet Treats, and has been named Best Bakery, Best Milkshakes, and Best Sweet Treats in Shelby County for the last two years. K&J’s sells custom cakes for any occasion: birthdays, gender reveals, weddings, baby showers, and more. 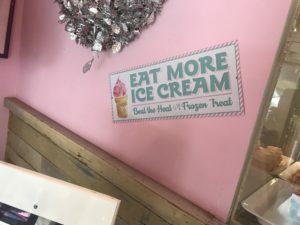 The shop also sells other sweet treats like cinnamon rolls; cupcakes in an array of flavors, such as Strawberry, Cookies and Cream, Sweet Potato, and Chicken and Waffle; and milkshakes, including the popular “Kolossal” milkshake—named “Mother of Milkshakes” by Birmingham Magazine—which comes in 14 different flavors. Bryant is among a growing number of small business owners in the Birmingham metro area – many of whom are African-American—operating and succeeding with their own establishments. 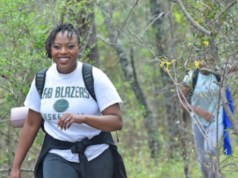 Business hasn’t always been easy for the Ensley native and Birmingham City Schools graduate. Her very first online customer called the health department to report that Bryant was making cakes at her residence. “I had to take down my website and all my social media pages, and I couldn’t take orders. I was just distraught,” said Bryant, who explained that the customer was angry because Bryant got caught in Highway 119 traffic on the way to deliver a cake. Bryant asked the health department what she could do to make her cakes from home and was told she needed to have a separate entrance and separate kitchen, which she couldn’t afford. That meant she needed a job, so she went to work at a bar and bistro in Homewood. Bryant held that position for about six months, and then she got an unexpected gift from her parents. The store was small and didn’t have any seating, but customers could come in to get cupcakes and order cakes. Bryant stayed at that location for three and a half years, until she found out she had been paying the water bill for the entire complex, not just her store. Bryant left that store and moved into her current location in February 2017. Business has been booming since. 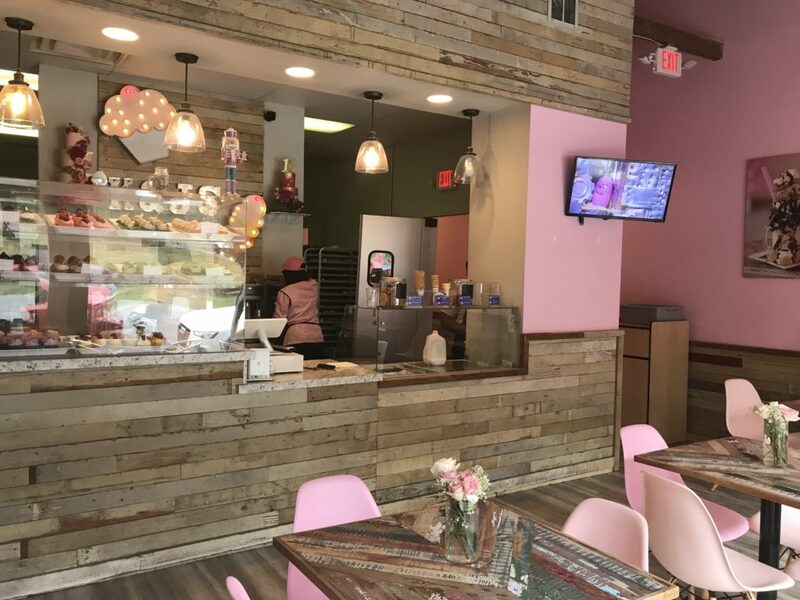 The quaint establishment bustles with customers eager to purchase milkshakes in 14 different flavors, including the K&J Original, Strawberry Shortcake Crunch, Cookie Me Crazy (cookie dough), Love Shake (red velvet cheesecake), and Salted Caramel. 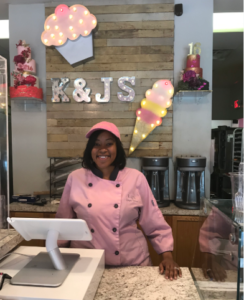 When it comes to cupcakes, K&J’s offers more than 40 flavor combinations: every day, the five standard flavors are available—Vanilla, Strawberry, Red Velvet, Sweet Potato, and Cookies and Cream—as well as 10 to 14 different flavors that typically change daily. “It’s fun to do something you actually love to do and actually want to do. It’s easy for me to get up. Even when I’m super-tired, I can get up and come to work every day,” Bryant told one visitor. 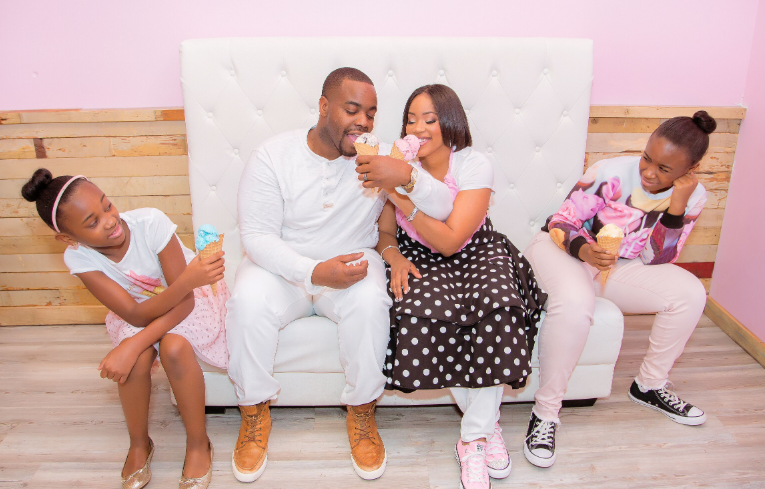 Bryant, who has two daughters, runs a family-oriented business. Her sister and husband work with her. Sometimes her oldest daughter, Ja’Kaiya, 16, can be found working the register; her parents help out on Saturdays. 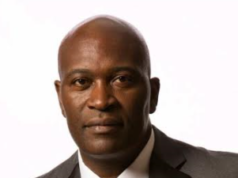 Bryant is an Ensley native who went through the Birmingham City Schools system, attending Councill Elementary School, Daniel Payne Middle School, and P.D. Jackson-Olin High School. Bryant set her mind on attending the Art Institute of Atlanta and got accepted, but she never got a chance to attend after she graduated from high school in 2001. Bryant enrolled in Virginia College, where she went to school for savories, meaning she learned about preparing whole meals. Every day in school was something new for Bryant: she learned about different herbs and spices, how to break down a cow carcass to make steaks, and even how to make ice sculptures. She completed every semester of school except for her very last semester before graduation which was her internship but she did have her job at the restaurant to fall back on. Bryant believes that working at a restaurant may have been her best education because she had the opportunity to work at every single station in the kitchen: pizza and pasta; boiled, grilled, and fried foods; and appetizers. Bryant held her restaurant job for about eight years, during which time she also started making cakes for friends and family. Eventually, she attracted a clientele beyond her family. “I started asking my bosses, ‘Hey, can I be off maybe this Friday or Saturday? I have a couple of cakes I’m going to do.’ After I started [baking] as a side hustle, the next year I was doing six or seven cakes a week. So, it was like, ‘Whoa, you’re doing a lot of cakes and working full time,’” she said. She started baking cakes full time in 2010, making cakes from home for about five years before she got her first store. Shortly after she started baking at home, she and her family moved from Birmingham to Alabaster in 2011. Bryant’s husband had worked for Norfolk Southern Railroad for about 16 years, so when a position opened in Alabaster, he took the job. In 2012, she created a website to reach more customers, and that’s when she encountered the customer who called the Shelby County Health Department. After the incident, Bryant decided to donate the cake and put it out on social media. She eventually gave the cake to a family whose house had burned down in a fire and had a baby that had just turned a year old. Bryant has been in her current location for almost two years. When she first set up shop, she thought of a new treat to add to her menu of cupcakes, cookies, and cakes. Bryant’s goal is to expand her business beyond Alabama—and she would love to build a store in her hometown. To start shipping outside of the state, however, she would need two full kitchens; her current location has one kitchen. “We’re looking for a location we can grow out of,” she said. “I really want to be able to ship all over the U.S., … so I would need a full on [additional] kitchen to run a shipping process, and we’ve seen some sites in Birmingham. 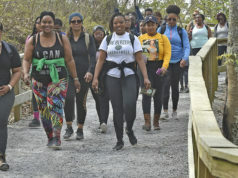 Click here to read some more stories about women in small business: Ama Shambulia; Sonequa Murray.